It’s almost three months since I posted anything! Don’t worry, normal service will resume now, but I have been in the UK for the summer working at Birmingham City University. Over 25 years have passed since I last visited the city, and it has certainly changed dramatically! The change is far from complete though, as massive renovations are still taking place in the city centre. 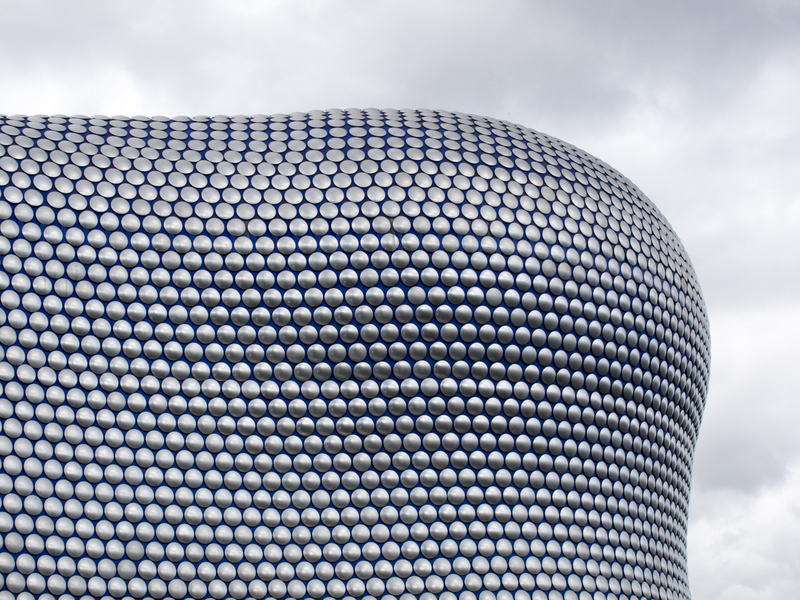 The Bullring Shopping Centre is now glitzy and modern. It’s showpiece store is Selfridges and if you visit, don’t miss the huge food court and deli shops on the ground floor. Surely the exterior was inspired by the daleks from Doctor Who! 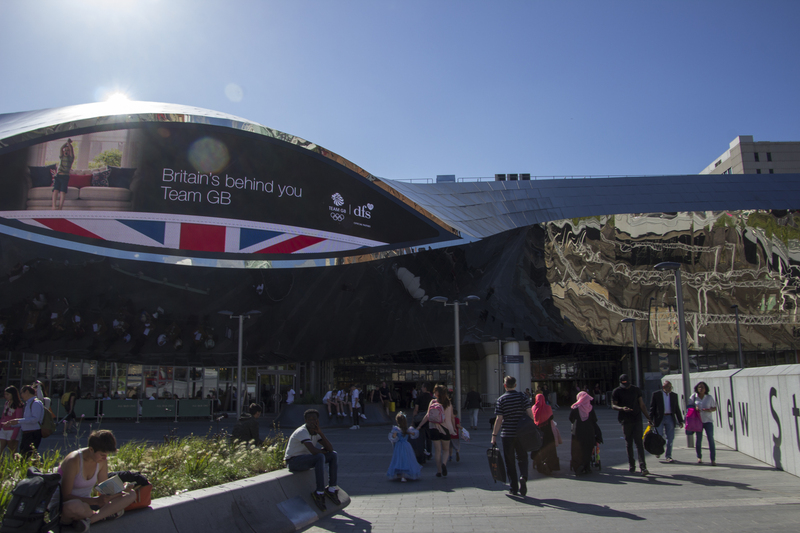 Birmingham New Street train station has also seen a major overhaul. It has a very futuristic look from the outside. In addition to trains, there’s now a glamorous shopping central inside: Grand Central. Save your pennies for the champagne bar on the balcony overlooking the main concourse! 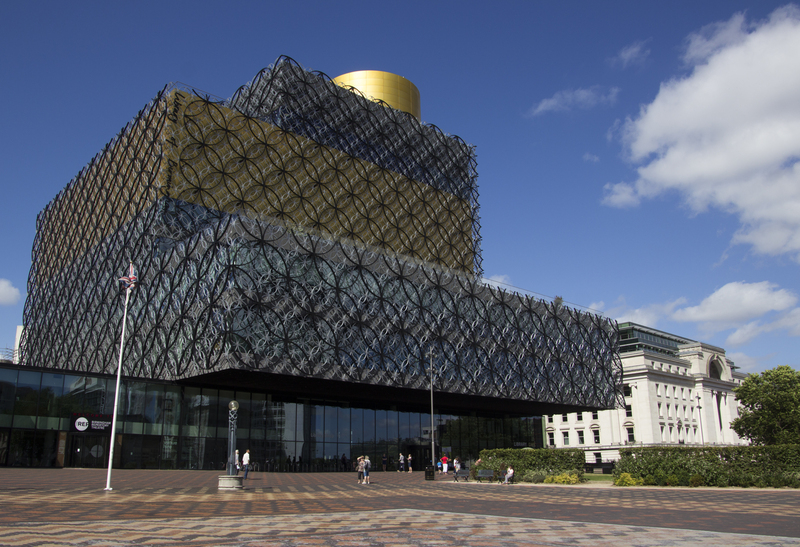 The showpiece of Birmingham’s redevelopment was surely the Library of Birmingham. It is certainly hard to miss from the outside, but even of you don’t enjoy reading it is well worth stepping inside. Ride the lift up to the top floor and see the Shakespeare Memorial Room which is unmissable. You also have to keep an eye out for the secret garden which will give you amazing views over the city surrounded by heavily scented plants. 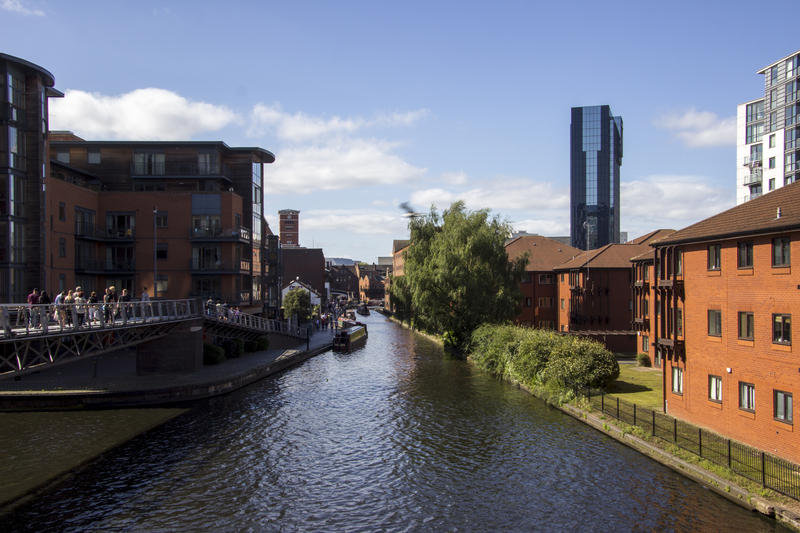 Another part of Birmingham which has changed completely over the years is the canals area. You can walk for many kilometres along the tow paths and at night there are so many restaurants and bars that it is difficult to choose where to eat or drink! Don’t worry though, as everywhere we tried was excellent! The Smoke Haus was particularly good, especially if you are a fan of more-than-a-foot-long hot dogs!! The Canalside was a great place to spend the evening with friends over a pint or two. It is, apparently, the smallest pub in the city. The new high-end shopping complex, The Mailbox, is nearby but you will need your credit card for sure. One of the culinary highlights of Birmingham is Chinatown. 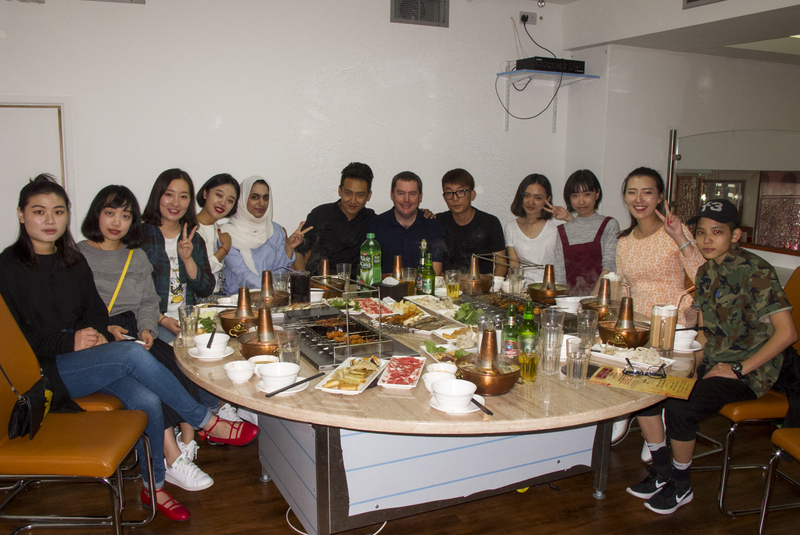 I had a fabulous hotpot meal there with my students in a dim sim restaurant sandwiched between the excellent Pepper Chef (for fantastic food in humble surroundings) and Toppoki (for amazing Korean delights.) All three are directly opposite the Dragon Inn, Chinatown’s Wetherspoons pub. Would I recommend Birmingham? I think it has a lot to offer for a weekend away, but if you spend longer there, you’ll have to look further afield to keep you occupied.